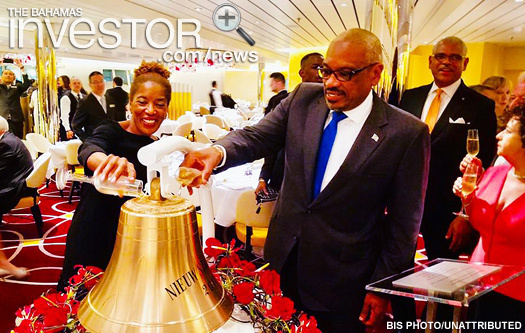 Prime Minister Dr Hubert Minnis and Minister of Tourism Dionisio D’Aguilar were among special guests at the dedication ceremony of Holland America Line’s Nieuw Statendam cruise ship February 2, 2019. 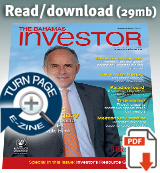 Holland America Line is a division of Carnival Cruise Corporation & plc, the world’s largest leisure travel company. Carnival cruise ships call on ports around The Bahamas, including Nassau, Freeport, Princess Cays, Eleuthera and Half Moon Cay. 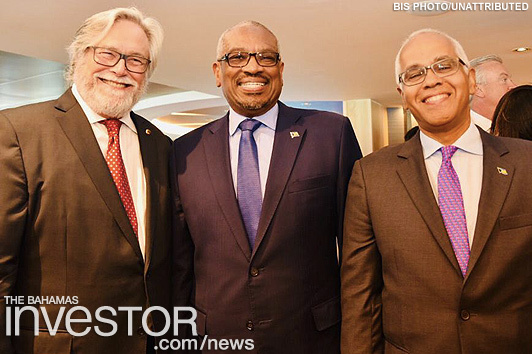 During the event, Prime Minister Minnis and Minister D’Aguilar spoke with Carnival Cruise Corp executives, including chairman Micky Arison, president and chief executive officer Arnold Donald and Holland America Line president Orlando Ashford. Minister D’Aguilar also met with Donald following the dedication ceremony to discuss a variety of matters. On February 4, 2019, Carnival will unveil plans for Freeport’s newest cruise port. 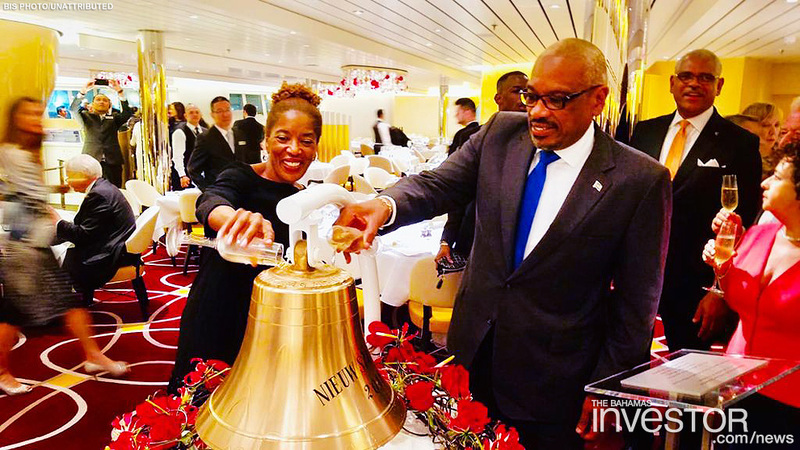 “We are pleased for the opportunity to witness such a special ceremony and get an up close look at one of Carnival’s newest ships,” said Prime Minister Minnis. The government is looking to upgrade its digital platform with the help of a loan of $30 million from the Inter-American Development Bank. The House of Assembly approved the resolution earlier this week.